Your kiddo has probably already made his choice. He’s already chosen to follow the path of wizardry and become a master of magic. We’re sure you support this decision as much as, if not more than we do. So in that spirit, we would like to help you support your youngster’s latest life choice. 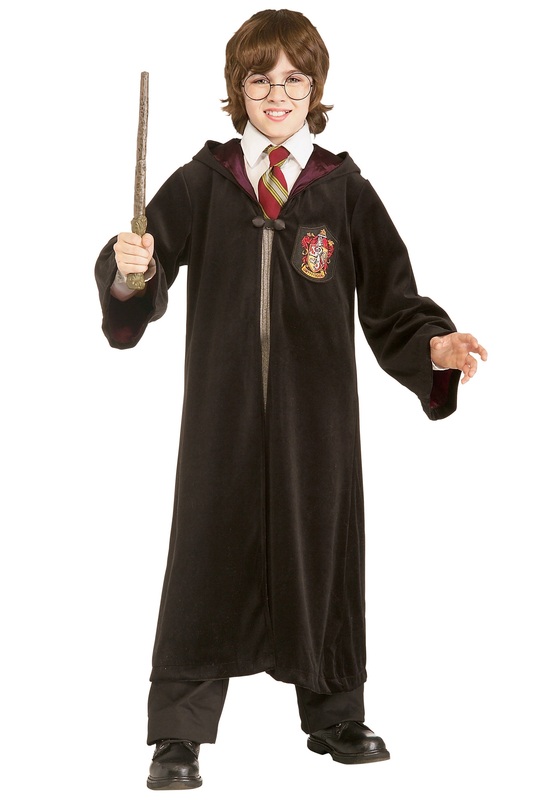 Grab him this Authentic Child Harry Potter Costume and he’ll ready to attend his classes at Hogwarts! Once your little one slips into this Gryffindor attire, he will be ready to follow in the footsteps of some of the greatest wizards to ever step foot on the earth. The book series follows the iconic trio of Harry, Hermione, and Ron and they were each proud members of the Gryffindor house. Thankfully they’ve taken care of that vile Voldemort, so when your wizard-in-training visits the magical realm he won’t have to worry about constantly fighting for his life. He will actually be able to focus on his studies full time. Harry never got that, not even Hermione did… imagine how powerful your little one will get with all that time to study and practice his magic! Just be sure to grab a few accessories to complete this new enchanting look. We would suggest one of our toy wands as well as a pair of glasses like ole Potter’s. Your kiddo can give this new look a test run this Halloween and if all goes well, he’ll be more than ready for the next semester at Hogwarts!